This project is an outstanding example of how an imaginative and innovative city planning approach has created a sustainable urban environment and a strong sense of citizenship. Housing provision is an integral part of urban development and brings together a range of innovative programmes, including combined workplace and dwelling units. 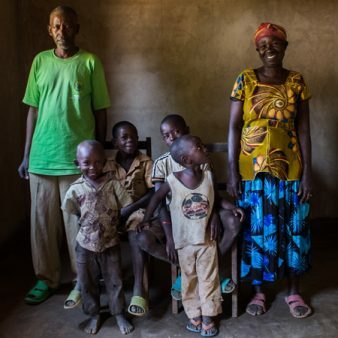 An innovative housing finance system involves the private sector and ensures a supply of low income housing without high levels of public investment. World famous public transportation and waste management systems have earned the city its reputation as one of the most sustainable cities on earth. Curitiba is located in the wealthier southern part of Brazil. It is the capital of the predominantly agricultural state of Paraná and has a population of 1,600,000. It is situated near the coastal mountain ridge at 900 metres above sea-level and developed rapidly as a city in the latter half of the nineteenth century with the arrival of many immigrants from Europe. It continues to be one of the fastest growing cities in Brazil with its population increasing from 500,000 to 1,600,000 in the last thirty years. The city has been transformed into an important industrial and commercial centre with a large and healthy industrial sector. 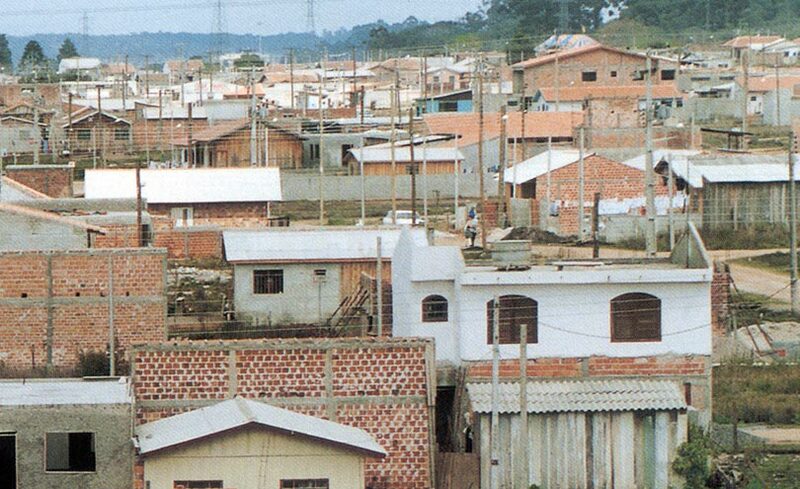 Despite substantial improvements in the quality of life for the majority of the population, Curitiba still has ten per cent of its population living in corrugated tin and wood shanties . This is a much lower proportion than in other Latin American cities however and these shanties are gradually being improved through municipal programmes. 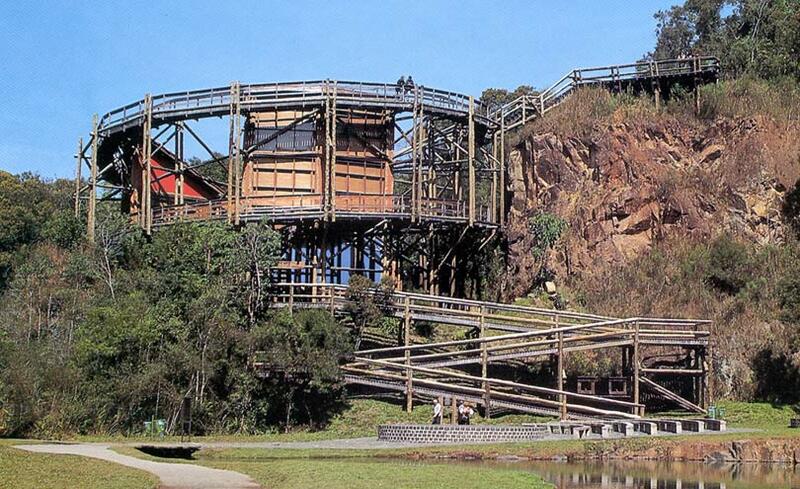 The accomplishments of Curitiba have come about despite limited means. The city’s budget is $1 billion a year, which is modest for a city its size. How then has this all been achieved? The answer lies back in the 1960s when a group of forward thinking young architects prepared a city plan for Curitiba that took a completely different path to that elsewhere in Latin America. Not for them the fashion of borrowing money for big showy projects. Rather it was the needs of the environment and the local people which had priority. As a result of their ideas the Curitiba Master Plan of 1966 was produced which established a new linear model of urban expansion and provided a comprehensive and integrated approach for the city’s future development. The plan was fully implemented and the city continues to build on these sound foundations thirty years later. Housing has always been a part of the city integrated planning process and the Curitiba Popular Housing Company (COHAB-CT) works in close co-operation with the Institute of Research and Urban Planning (IPPUC) to ensure a continuous supply of low-cost housing, which is renowned for its quality and for helping to restore a sense of citizenship to the people. In the 1970s the city turned away from conventional large housing complexes, preferring to break up large projects into smaller and better integrated ones, using the already existing infrastructure. Even the smallest complexes have schools, day-care centres and health centres included. The continual influx of people into the city creates a constant demand for housing. Housing programmes are designed to meet the needs of specific communities. Funding is made available for self-build projects, for the purchase of urbanised lots, for urbanisation and regulation of irregularly occupied areas and for partnerships with the private sector where building advantages are traded for lots and housing units. In order to overcome the lack of resources to meet housing needs, the Municipal Housing Fund was created in 1990. This provides funds for low-income housing from private developers through levies charged on new development permissions. Of the deficit of 40,000 dwellings in 1991, 27,000 dwellings have been provided to date. Emphasis has always been placed on innovation and experiment and two recent innovations are the Technological City of Curitiba and the Villages of All Trades. The Technological City of Curitiba has been created to pioneer new forms of construction, seeking to identify new ways of achieving quality housing at low cost. 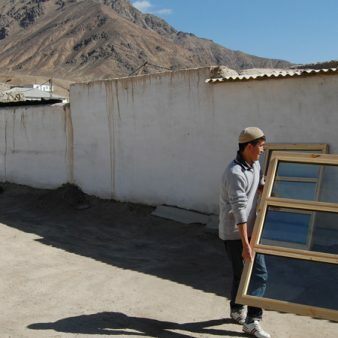 Private housing construction companies nationwide were invited to submit innovative low-cost housing designs using a range of alternative technologies and twenty were selected. Six houses of each type were built and are currently occupied and being monitored for their acoustic and thermal performance and durability of the construction materials. 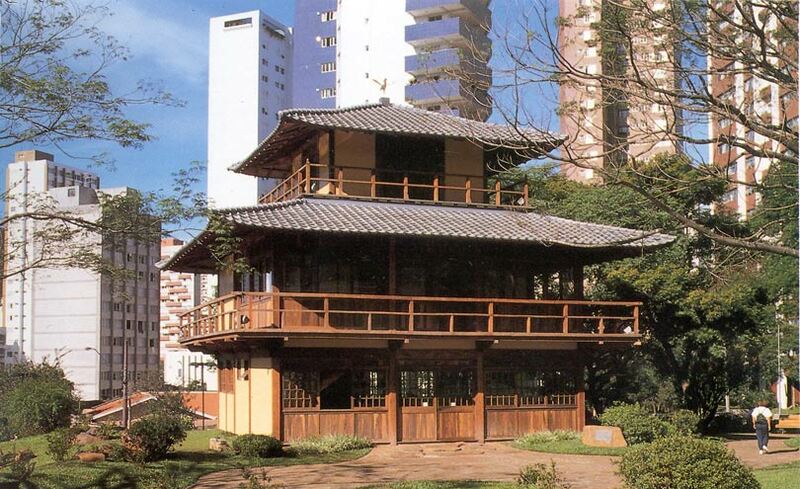 The houses provide a showcase which attract many visitors from within Brazil and beyond. Villages of All Trades have been developed with the idea of bringing workplace and dwelling together under the same roof. These villages are located in pockets of substandard housing, which benefit from the improved infrastructure, landscaping and sanitation works. 300 dwelling units have been built to date under this programme. The city also leads the world in its waste management policies. Two thirds of all rubbish in the city is recycled. Paper recycling alone saves the equivalent of 1,200 trees a day. Poor families in dense shanty areas unreachable by truck bring their rubbish in bags to neighbourhood centres where they are exchanged for bus tickets or eggs, milk, oranges or potatoes. Children are encouraged to collect waste materials for recycling and receive good quality toys made from recycled plastics in return. Rubbish is recycled in a plant which gives jobs to handicapped people and former alcoholics who have trouble finding jobs elsewhere. The recovered materials are sold to local industries. The programme costs no more than landfill, the city is cleaner, there are more jobs, farmers are supported and the poor get food and transportation. Education is seen as the passport to the future. A series of text books have been developed for the 117 state funded schools in the city. These books use examples drawn from the city of Curitiba and encourage the children to love the city they live in and feel a sense of belonging and responsibility for it. Small neighbourhood libraries in the form of lighthouses have been built near the schools. Painted in bright colours, each library houses 5,000 books. At night the lighthouse is illuminated helping to provide security on the city streets at night. Care for marginalised children receives priority treatment in Curitiba with a range of co-ordinated programmes. Industries, shops and institutions are encouraged to ‘adopt’ a few children, providing them with a meal a day and a small wage in exchange for doing simple maintenance, gardening or office chores. SOS Street Educators walk the streets at night finding children sleeping rough and encouraging them to join one of the many programmes available to house, educate and employ them. A range of programmes seeking to improve all aspects of daily life for the citizens flourish under the well administered city government. People are consulted at all levels and kept continuously informed on what is being done in their city. Seven new Citizenship Streets have been established as regional governance centres. These are connected to the mass transportation terminals and are equipped with libraries and sports facilities. They are used for shows, movies, craft and antique fairs and are supplied with all public services including those which formerly were only available in the city centre. This is intended to be a moving of the city hall to the people, a further way of encouraging the sense of citizenship that is the key to Curitiba’s success in the past and to its continuing success in the future.